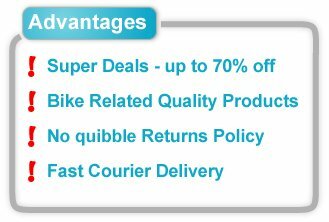 Receive our CycleSuperDeal on Your Email. Don't miss any of our great offers now! This Deal has ended. Sign-up now & get email reminder with next Deal! The Flat-less do it all tire. It's City, Road & E-Bike ready. The patented, 5 mm thick SmartGuard layer, when compared to all generic products, has a significant advantage in rolling resistance. Also in the SmartGuard, we use a proportion of recycled rubber from old latex products. It now lasts much longer before deveolping unsightly cracks when subjected to use with too low air pressure. Due to its great properties Marathon Plus is the best choice for E-Bikes (E-25). The main sizes are approved and tested for E-bikes up to 50 km/h. Every week we offer our customers one Bike-Related Top Brand Product at a massive reduced price. Often below cost. or as long as stock lasts. So Better HURRY! No responsibility is accepted whatsoever for supplying full and accurate product specifications – please consult with the appropriate manufacturer's website for these. There is a limit of 4 items per order, due to the nature of the offer and to ensure everyone has a fair chance to avail of it. You cay collect your order in-store, where it will be held for you from the following day (usually Thursday). 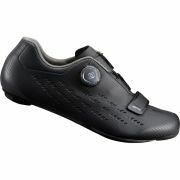 Delivery on the Cycle SuperDeal offer is available only in Ireland & UK. The Realex Payment Gateway is our chosen payment services provider, which guarantees industry-leading security for your transaction. Due to the nature of this offer, no vouchers or discounts codes can be used in conjunction with the Cycle SuperDeal. Orders are shipped using GLS Courier services. Please allow up to 7 working days for delivery of the Cycle SuperDeal items. Please ensure you are familiar with the applicable delivery charge listed above. Products in the Cycle SuperDeal are listed separately to those of the Cycle SuperStore website and the deal is sold as a separate entity and as such cannot be combined with the shopping basket functionality or other products of the Cycle SuperStore website. All deliveries require signature upon receipt and exact delivery times cannot be guaranteed. It is possible to collect your Cycle SuperDeal purchase in our store. Please note is not possible at any time to purchase or request to purchase the Cycle SuperDeal items in-store as it is exclusively a web-based offer. Items will only be available for collection on the day following the offer (usually Thursday). Items will be strictly held for 7 days only and failure to collect your item during this will result in the item being returned to stock. In this eventuality, a 25% restocking charge will apply. As there are limited quantities of Cycle SuperDeal products for purchase, it can be that on occasion the product becomes sold out before everyone who wishes to has made a purchase. Due to these limited quantities, once the item has sold out, the Cycle SuperDeal is concluded and we do not re-stock or re-order more product to satisfy outstanding demand. Our Returns Policy for the Cycle SuperDeal matches exactly that of the overall Cycle SuperStore Returns Policy and is a strictly No-Hassle policy. Please consult the Cycle SuperStore Returns Policy for full details of the procedure in the event of Faulty Goods.